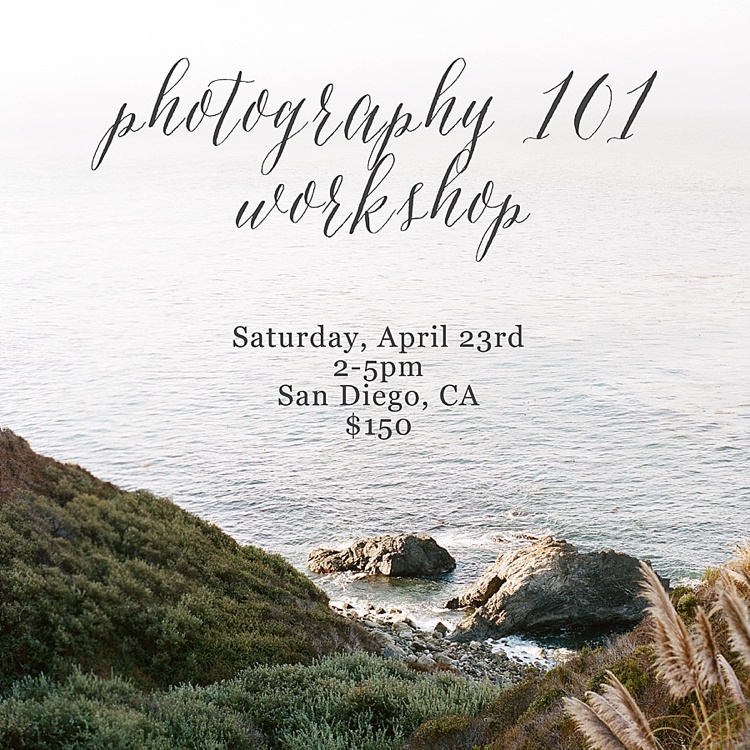 I’ll be hosting another beginner DSLR photography workshop on Saturday, April 23rd from 2-5pm in East San Diego County. This class is for people who own a DSLR camera and don’t know how to use it to it’s potential. I will teach ISO, shutter speed, aperture and other basic camera functions. There will be shooting time as well as plenty of time for q&a. Space is limited so email today if you’re interested in registering!